GRAFENWOEHR, Germany — London is a must-see for many world travelers. Apart from its beautiful architecture, history, museums and entertainment, however, London also has other equally interesting sites a short drive away. If you are planning a trip, consider adding these three nearby sites to your itinerary. Stonehenge is one of the most amazing sights. It’s very much off the beaten tourist path and is about two hours by bus from London. The amazing structures are a historical marvel. Ponder over questions like why are they here, who put them here and how they did get here? and read experts’ desperate attempts to answer them. I don’t want to spoil it, but I will answer one. You’ll have to go in person for answers to the rest. Why are the structures there? The stones at Stonehenge traveled a far distance, only to be put in the exact spot. Another quarry of stone was nearby and much more convenient, but the ancient builders decided it was not the right kind of stone. The builders instead insisted on using stones that turn dark blue when wet — an everyday possibility in England. The closest quarry for this stone is in present-day Wales. Imagine transporting five-ton rocks — without modern-day equipment, let alone a wheel — miles and miles through the rocky and wet English landscape. 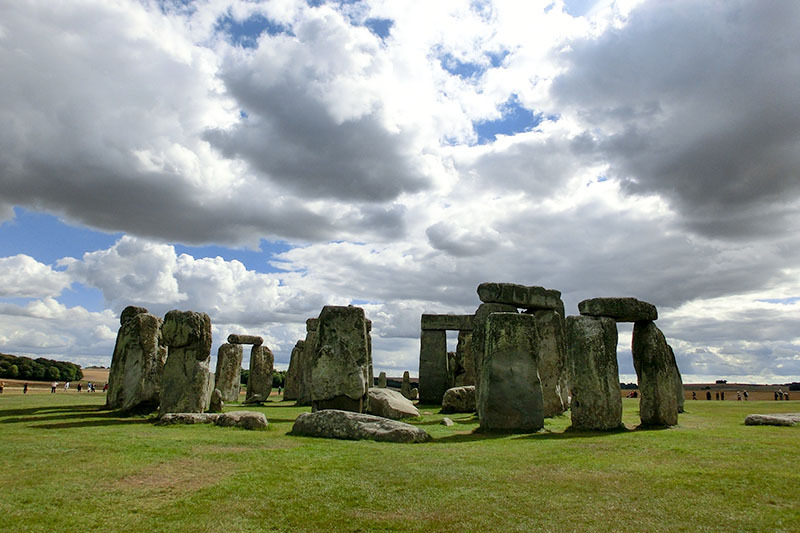 To put it in perspective, the “Blue Stones” — as they’re often called — are the smallest used in the Stonehenge configuration. The largest Blue Stone is around thirty tons. Bath is another wonderful find close to London. It’s about forty-five minutes or so, depending on traffic, from Stonehenge. Bath, a former city in the Roman Empire, is a protected World Heritage Site. It has a year-round warm spring running through it, which is pretty impressive considering that the United Kingdom can get cold in the winter months. In ancient times, the Romans — a culture obsessed with bathing — used the region’s endless supply of warm water as an opportunity to build massive bathing structures. Visit the beautiful Roman Baths, which have survived the test of time, wars, and man until today. And if that is not your cup of tea, just wander around window-shopping, through the mall or down the little alleys and cobble stone streets. Harry Potter Wizarding World is EVERYTHING — at least for a Harry Potter fan, like myself. My first tip: Plan ahead. Book tickets online, in advance, before you go. I purchased tickets before I reserved a hotel nearly two months before the trip, and I still almost missed my dates. It was every bit as magical as I thought it would be. Even my two-year-old, who knows nothing about “The Boy Who Lived,” enjoyed the trip, especially the interactive parts: Wearing a wizard cape, taking a “flying lesson,” wand training and so on. Of course, I did these too. Harry Potter Wizarding World preserved lots of the magic from the books and movies, including the Hogwarts Express, Kings Cross Station 9 ¾, costumes and many other things beyond the scope of this piece. Just know — even if you’ve never read a single Harry Potter book — the trip is worth it. Best of all, the ticket prices are reasonable. This was good, because I would have splurged, no questions asked. My final tip: Go after March 31, when the Forbidden Forest opens. I hope you consider adding these wonderful places to you London vacation list. I would go back to each in a heartbeat.